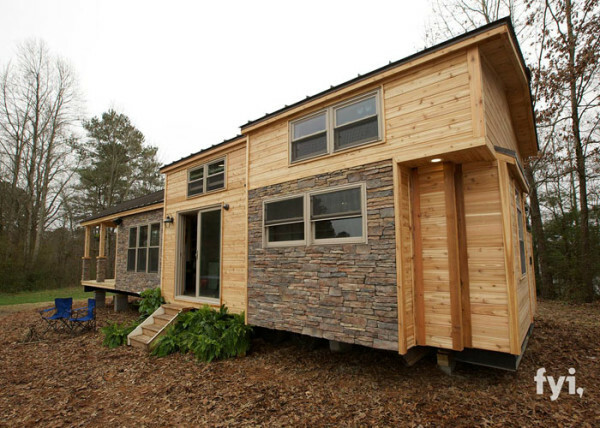 Tiny houses are popular, but do you know what truly makes a tiny house a tiny house? 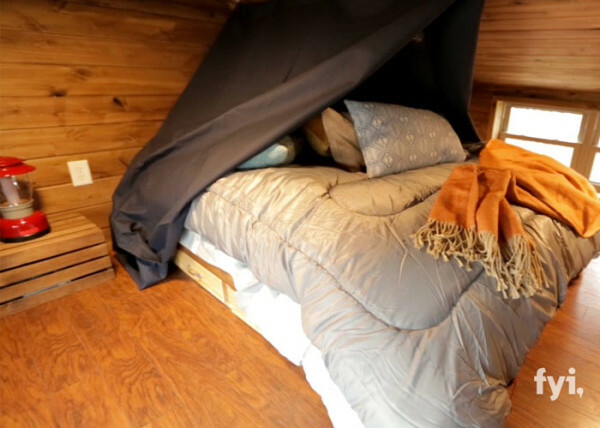 Size is a major factor, and for a structure to be considered a truly tiny house, it must be smaller than 400 square feet. Fun facts: In order for a home to be considered a small house, it must be under 1,000 square feet and if a home is smaller than 80, they are considered a micro house. Yet, in order for a tiny house to enter the pagoda of perfect petite abodes, it must include an innovative design that allows for all the comforts of a regular sized home to be squeezed neatly into a tight space. If it a tiny house has all of these qualities plus it’s mobile, you’ve got yourself a textbook dwarf-size dwelling. Here is our knock out of a tiny house. The exterior embodies a rustic charm with its combination of light wood and stone-colored bricks. The living room is brimming with cool, contemporary Don’t-Mess-With-Texas style. 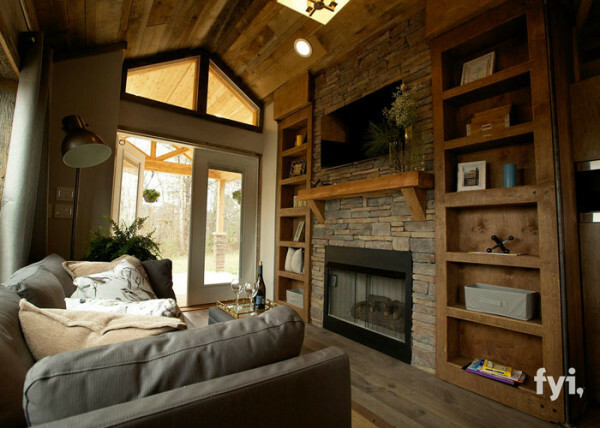 It has a big, dramatic stone fireplace and mantle, big wooden built-in cabinets, big stunning entryway, and a big feeling of space. The master bedroom, which is on the first floor, strikes the right balance between being modern and comfortable. 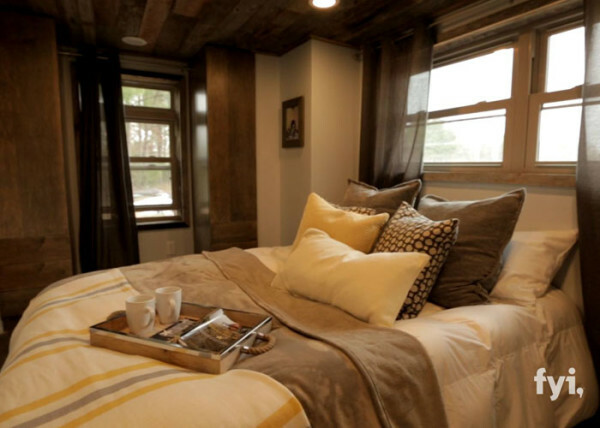 A loft bedroom provides extra space for kids or guests to sleep. 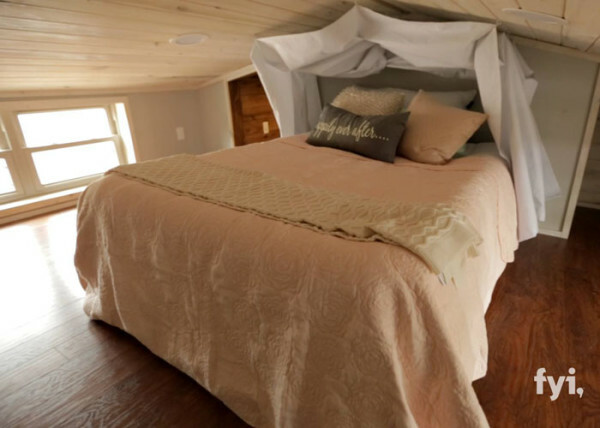 The loft also has an extra bed nuzzled neatly into the warm, roomy space. 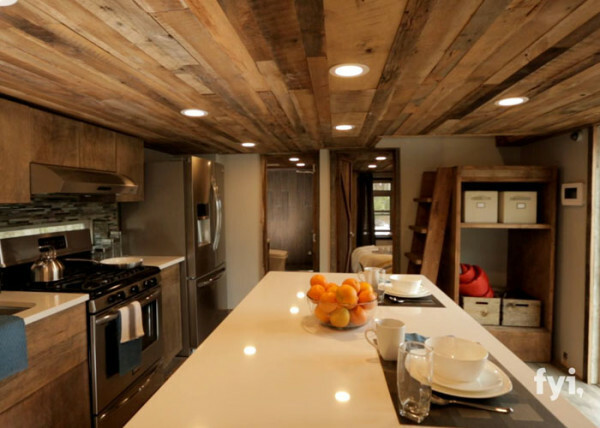 The spacious kitchen is capped by a ceiling consisting of paneling from reclaimed wood, which gives the room a rustic vibe offset cleverly by sleek, stainless steel appliances. 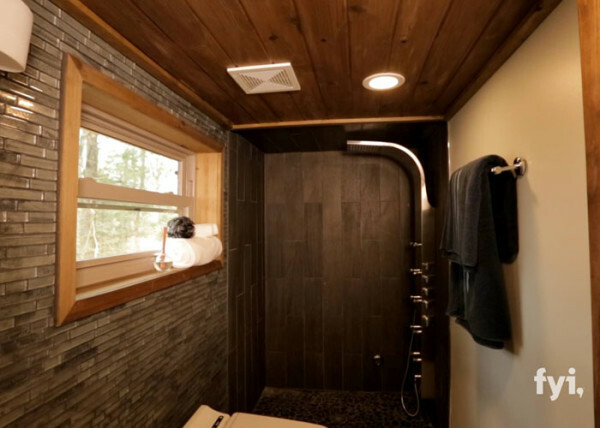 The bathroom is a real stunner with a luxurious shower with gorgeous fixtures. What do you think of this home? Let us know!